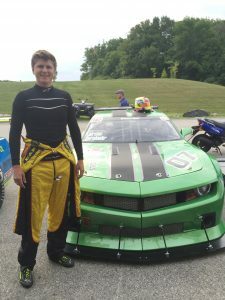 With only one car running at Road America, the 07 Millers Oils / BCR Camaro of Jordan Bernloehr, the BCR crew was reduced to just 3 instead of the usual 8-14 people. 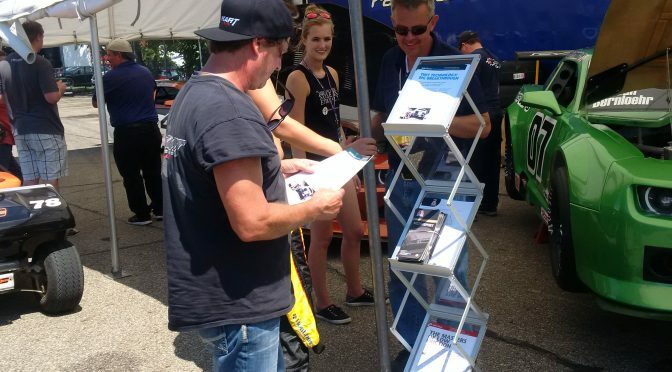 As part of the Nascar Xfinity series weekend, Trans-Am at Road America is a special event, beautiful scenery, awesome track, and great fans. 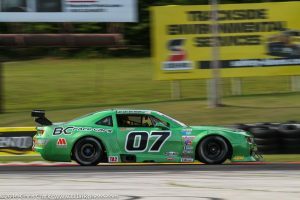 As usual, the 07 Green machine ran flawlessly all weekend, and we walked away with a solid 7th place finish credit to Jordan`s mature drive in difficult conditions. Practise and qualifying all took place under near ideal conditions; track all rubbered in, clear crisp air, not too warm. We qualified 12th, but Jordan`s hot lap was disallowed due to a red flag condition, a lap that was good enough for a 6th place start. Saturday we woke up to heavy rain, but the forecast called for a break right around race time. So we went with an in-between set-up, something that would be driveable under all conditions. He was able to drive thru the various stages of the race, and came home with a solid finish! 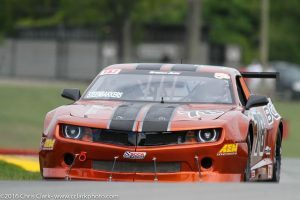 Off to VIR in September. Jordan Bernloehr in BC RACE CARS 07 TA2 Camaro qualifying at Road America. 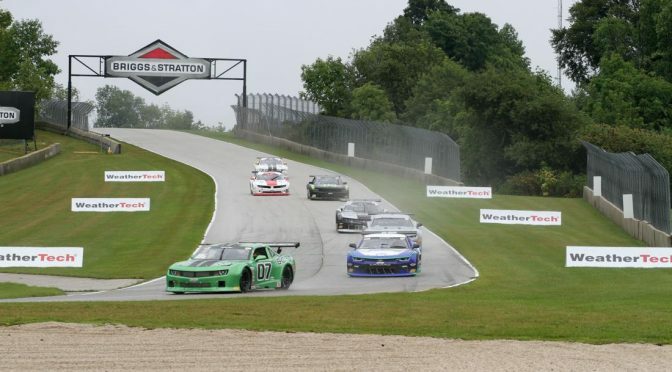 A surprising dry weekend for the BCR team of 3 Trans-Am TA2 cars at Mid-Ohio, as part of the Nascar Xfinity Series, as the weather forecast was calling for 100% chance of rain! We ended getting no rain at all during our practise/qualifying and race, much to our disappointment as we have developed some amazing rain set-ups. We had the fortune of working with Cameron Lawrence on Mike’s #48 to further the development of that platform. We learnt a lot and made some major changes thru the weekend which allowed Mike to turn some personal best lap times and finish an excellent race in 14th position! Lot more to come from that car/driver. Harry in the #78 struggled all weekend with pace. We tried all kinds of set up changes, yet the lap times did not improve, ending with a disappointing 16th after qualifying. The race was far better as Harry was able to maintain his pace thru-out the race and brought it home an amazing 8th! 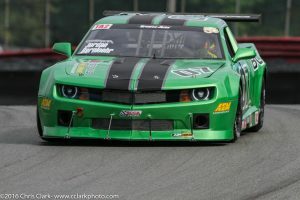 Jordan was quick out of the gate, the #07 Millers Oil BCR Camaro having been completely rebuilt after the Brainerd crash. He was driving well and was never out of the top 10 in any session, including a top 4 in practise and a 6th place qualifying effort! We were so excited about our chances in the race as our set-ups do not go off and Jordan traditionally gets faster and faster when everyone else starts to slow down! It was not meant to be, on lap 12, a minor misplacement of the car resulted in a spin and crash, ending our excellent weekend! Again, many thanks to the crew of BC Race Cars, our cars made every session yet again and we still maintain our 100% reliability this year. It is a testament to their professionalism and expertise in preparation and execution. Misha Goikhberg and BCR Grab Pole in Atlanta! 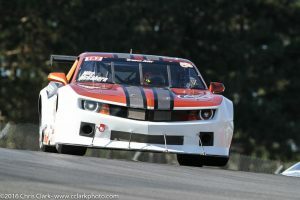 BCR Scores 2nd at VIR! race car preparation, fabrication, engineering, driver training and coaching.